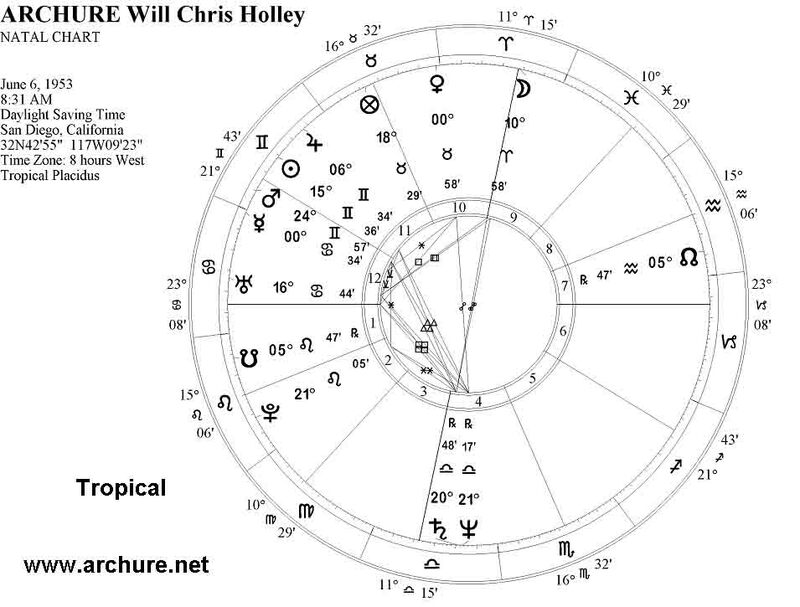 I am a Siderealist (sidereal chart below, scroll down), but here is my regular Tropical chart from Kepler software. Sidereal follows the Stars, not the seasons, this is the real, original Astrology (only compare this with Sidereal charts), your chart too is off by nearly one sign. Just take your Tropical (regular astrology chart) and subtract 25 degrees from every planet, sun, moon, and house cusp (in short, subtract 25 degrees from everything in the chart), and everything should end up in the same houses. Just to help you understand a bit more: there are 30 degrees in every sign (12 signs X 30 degrees = 360 degree circle). The first degree is "0", the next degree is "1", and so on, the last degree of a sign is "29" degrees, the next degree being "0" of the next sign. Here is Another type of Sidereal Chart, as they do in India, by the Vedic Sidereal system (both Sidereal charts by Kepler software). 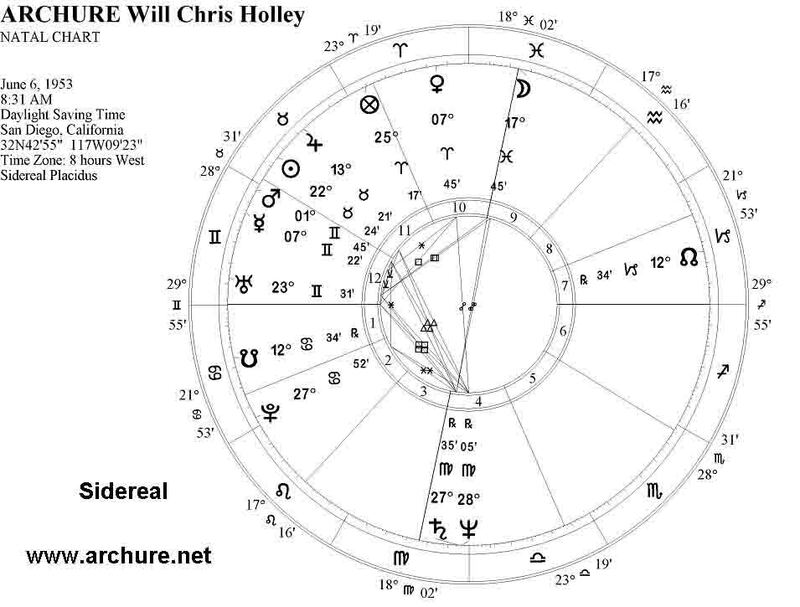 This "Sidereal" Chart shows my Moon in Pisces conjunct (i.e. same place) the MC (Medium Coli or top of sky, actually the Meridian. Stand facing the equator, right above your head is the Zenith, draw a line directly toward the equator (due south if you are north of the equator) and that line you drew is the Meridian or MC. The MC denotes Fame, Honor, Public Image, Profession, and the Moon (4.5 times stronger in relative gravitational force than the Sun, as Newton proved that the Moon pulls the tides 4.5 times more than the Sun), the Moon denotes Personality, Social Life, Feelings, Health, and Cooking. Moon on the MC is found in the charts of Famous Chefs, people who change careers or jobs frequently, people who socialize with famous persons, and famous persons themselves (or people with a strong reputation in the public eye, same thing). 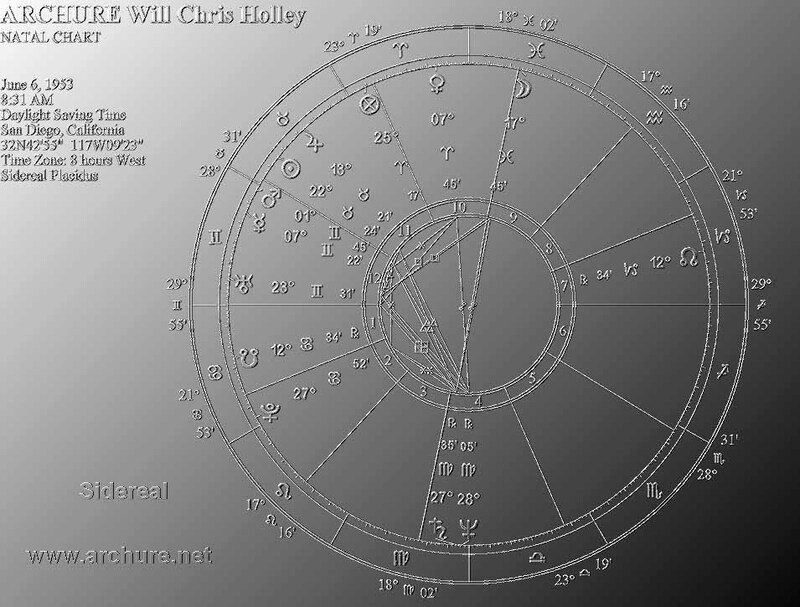 In my Tropical Chart (regular) the Moon is in Aries denoting socializing within the world of Military or Psychology social circles, but in my SIDEREAL chart (the Stars, the system I find most accurate) my Moon is actually in Pisces denoting socializing within Hip or Religious groups, and the Film and Music Industries. I grew up in Hollywood, my grandfather worked for Desilu (Paramount) Studios (1920's to 1964), and I met many big stars as a kid. Lucille Ball Arnez, Bill Bixby, Carol O'Connor (before he was a star), Johnny Carson (used to come over and visit my grandfather), Mary Tyler Moore, Joey Bishop, "Miss Kitty", Vince Edwards (Ben Casey) and Ann Southern (2 very good friends of my grandfather). My grandfather knew both Nancy Reagan and Ronald Regan, before they were a couple (and Nancy had the hots for my grandfather, who was a real ladies man, having Venus square Mars, the 2 romantic planets, in square or 90 degree angle and is a bit rough. People with squares annoy people, but they get the job done , and most charts have at least a square, which makes them an achiever (I have this get the job done thing with non-romantic but perverse "U-ra-nus": ie Astrology, Psychology, Electronics, Science, Genius, I used to drive people nuts with Astrology, but some people like it, it works, I know what I am doing and get results. I did astrological work for Stevie Nicks, Joe Montana, The Grateful Dead (before their European Tour double album with the Ice Cream Cone on the forehead, on the cover), Danny Devito (match making with Rhea Perlman, they knew each other, but I told them what an astrological match they were), which I have done for others too. My grandfather told me that Ronald and Nancy were both excellent astrologers back in those early days. Ronald was doing a series of quality TAKEs with Saturn in the 10th house (very professional time of day, 2 hour span), and as Saturn passed the MC and moved in to the 9th house (amature), the director was not satisfied and wanted more TAKES and was prepared to scrap the Saturn in 10th house takes, Ronald Regan refused to re-take the shots, and walked off the set (a true professional, but still a bold thing to do, never argue with the director (or producer)). My grandfather retired from Desilu Paramount Studios and moved to Mendocino CA (where they filmed Murder She Wrote, aka "Cabots Cove", and many movies over many years; my grandfather was good friends with Angela Landsbury, and I drove her all around town when she stopped by to visit). At this point I was in high school and had long hair. The Regans (then Governer) came by to visit us in Mendocino, and I was nervous about what they might think about my long hair, vegetarianism, and rock and roll attitude. Then I moved along, left Mendocino, was in to Music, then I went to College of Marin (haven for Rock stars at the time). Between Mendocino and Marin, and the Society of Friends or "Quakers", etc, I met all sorts of rockers: Carlos Santana, Stevie Nicks, Bob Wier, Phil Lesh, Joe Montana, George Carlin, Jerry Garcia, ZZ Top (I put the "ZZ" in ZZ Top after they first signed, I used to jam with them), David Bowie (in SF), Willie Nelson, EmmyLou Harris, Robert Plant, The Sir Douglas Quintet (later known as the Texas Tornados), Credence Clearwater Revival, Grace Slick (beauty and brains), John Denver, Janis Joplin, Peter Tork (Monkey who previously dated my then girlfriend Kris Karlson, she was a good girlfriend and an influential Artist Painter). At College of Marin, I studied improvisational acting directly with John Ritter (always worked with him in class, and I am the guy who told him of the casting call which got him his fame, my grandfather told me to tell him about it, it was a set up, they all knew his dad Tex Ritter). I Jammed with Bonnie Rait (and taught her some riffs, saw her a year later and she was famous), and met Joan Baez, and Bob Dylan. Then later in Southern CA was jamming with Alex Van Halen (with Eddie always in the other room just hanging out). I wrote fan mail to Valerie Bertanelli inviting her over to the jam sessions. My Cousins Holly and Heidi Meadows introduced me to Sigourney Weaver. I met Chrissie Hynde and invited her over to the jam sessions with Alex Van Halen and Nick Wilison, Tom Petty came over too (I'm a big Tom Petty fan, and used to jam with him when we were both age 13). Years latter, I was purchasing my Yamaha TDXpress Electronic Drum Set, and I think that Alex Van Halen was in the drum dept (had not seen him in years, didnt say anything). I had a little drum set at age 5, my grandfather taught me things, I was real good, but they took my drum set away, but later I got a couple of drum lessons from Buddy Rich. I was in a large music store on Sunset Blvd in Hollywood when the Doobie Brothers (not yet famous, but just signed and had money to spend) came rushing in buying musical equipment left and right (including the black Les Paul with gold trim which I had in my hands, I latter saw it on stage). I have been to more Doobie Brothers Concerts than any other band (except perhaps the http://www.spazmaticslive.com because they now play twice weekly in Las Vegas, whom I met years ago in Hollywood, came over to audition, but it was a mis-understanding, there was no job available, and the planned jam session never happened). Danny Devito used to be a good friend of mine. If he happened to be at a rock concert or where ever, he would come running over to see me (or I to him). And speaking of Rock Concerts, I once smoked a joint with Carl Sagan at a large out door rock concert (and I had previously met him years back, when he lectured at my high school, about his book "Dragons of Eden: The Speculations of the Evolution of Human Intelligence", which is my favorite book (anyone with an IQ should read it). SO ALTHOUGH I DO HAVE VENUS IN ARIES (and look good in the Aries color PRIMARY RED) and am interested in Psychology (and unfortunately my karma is scared by working for the Military Industrial Complex, but they were a bunch of friendly people, one of the nicest I have worked for, I just don't like the karma of weaponry, but I did my best as "guns which shoot straight are a deterrent to war"), and it was not war time (and when the Iraq war first started, I was Bumped by a layoff with more seniority, which is good, as I am a pacifist, I never wanted to work in weaponry electronics, but after graduation (ITT), I had Aced the Hughes sponsered Test at ITT, combined with no one else would hire me, so they hired me. Even if I have Venus in Aries in the 10th (I would make a fine Psychologist, especially with that T-square to Uranus in the 12th, its the Squares that do all the work), it is my MOON in PISCES MC which led to meeting most of these people, PISCES social circles not ARIES. A strong case in favor of the Sidereal System. Now that I have discussed the differences between Tropical and Sidcereal, and laid out an argument in favor of Sidereal, now I will point out my chart details in Sidereal, including Transneptunians (which are Hypothetical, yet at the same time, I have found them to be valid in influence, perhaps someday Scientists will officially list them?). Zeus 2nd sqr Kronos 11th ("high friends in good places"). Sun semi square Venus: lots of Music, I can play a few instruments, mostly "by ear", and my midi guitar sounds like sax, flute, sitar, violin, voices, and I have an AA in Fine Arts Music, but know more about it than many with a Bachelor in Music; but upon the advice of some excellent pros, I got into Improvisation and could no longer bear to read music (psychological block against it, but could probably study up on my vocal sight reading, maybe even piano, its been years since college, even then "Mr Holley, Mr Holley, that was very beautiful Mr Holley, but it wasn't what Bernstein wrote Mr Holley, would please sing me measure 44 Mr Holley, just you please"). T-sqr to Ur 12th: astrologer, electronics tech, read much psychology (its the Squares who do all the work, mine are all to Uranus in the 12th. Jefferson too had Uranus in the 12th Asc).